We all get it…. 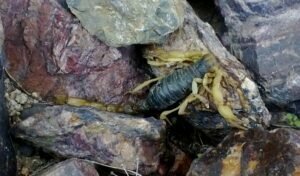 Scorpions live in the Phoenix Valley. 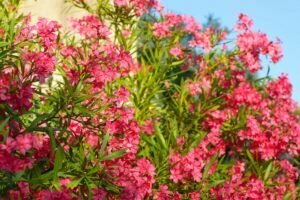 But there are a few things you can do with landscaping to help control scorpions and other pests from infesting Your yard. Remove large rocks. Scorpions love to hide under rocks… The bigger the better. Scorpions are nocturnal and need to conserve water during the heat of the day so they find cracks and crevices under rocks ideal. Removing river rock and anything bigger will eliminate sheltering areas around your yard! This includes rocks or logs used for edging or flower beds. Concrete edging is best for creating a border around grass, trees or flower beds. Using big rocks or logs of any type will provide more shelter for scorpions and other pests. Scorpions love the shelter found in trees and bushes. Palm trees are especially inviting to scorpions as they have a multitude of loose bark like areas to shelter under. If trees are old and decaying at the roots or balling up at the bottom, they’ll be inviting to roaches and other pests that will also attract scorpions. Replace old decaying trees and palm trees with another favorite! Keep trees and bushes trimmed away from the house! Scorpions and many other pests use trees and bushes to get inside. Crawling from a tree or bush limb onto the house or roof then finding a crack that leads inside. Block wall fences make the Phoenix and Mesa AZ Valley beautiful and create a nice privacy barrier BUT… Scorpions LOVE block wall fences. Scorpions shelter in cracks and crevices found in concrete block wall fences. Don’t tear it down, there’s a solution! 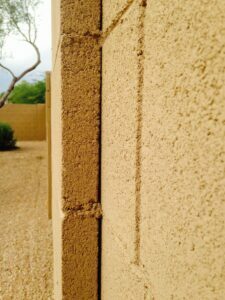 Seal cracks and crevices in block wall fences with a high quality caulk, and paint your block wall fence! Sealing cracks and crevices keeps scorpions from getting inside or coming out (at least on your side of the fence!) Painting your block wall fence with an acrylic paint or waterproofing sealer will keep scorpion pest control treatments on the surface so they can’t be absorbed into the concrete making them more effective! Believe it or not, scorpions seek water. Scorpions can actually live for months WITHOUT food if water is available. Replace old leaky sprinkler systems, and set timers conservatively, to eliminate moisture sources that would attract scorpions and other bugs. 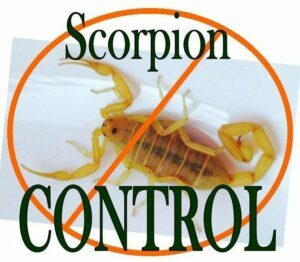 REsponsible Pest Control delivers effective Scorpion Control in Mesa, Phoenix, Chandler, Glendale, Scottsdale, Queen Creek, San Tan Valley, Maricopa and surrounding areas! I didn’t know that scorpions could be living on my landscape! I’ll make sure that I avoid having hiding places for them. It would be a good idea to design my landscape in a way that it has no hiding spots for critters while still looking good.